Dialogue mix has funny Murugun repartees from the movie set to the backdrop of a musical melange featuring the trademark Tamil kuthu beats for most part. Just the kind of number you would look to start off in a comedy flick. Right from the start of the song the dialogues will have you in splits! Incidentally most of the dialogues in the song feature in the trailer as well. So for a visual impact of what you hear in this song just scroll down. Coming to the title song, Raghu Dixit and Ranina Reddy sing this sole composition of Raghu from the film (Others are all by Sagar Desai). Another jolly song with slight bubblegum dance elements, this one features some of Quick Gun’s dialogues from the Channel V days like “Mothalle Sambar, Apparama Nee” (Scroll down for videos). Raghu Dixit handles his dual role of singer and MD neatly indeed with this short and sweet number, the classical twist in the first interlude particularly nice. Next up is Mind It. Wonder why it was called Tamil Bhangra, seeing that apart from idli, appam and sambar I didn’t find any Tamil in it. Apart from that everything is perfect about this song, starting from Mika’s exuberant rendition to the idli appam-verse to the carnatic ending on veena. 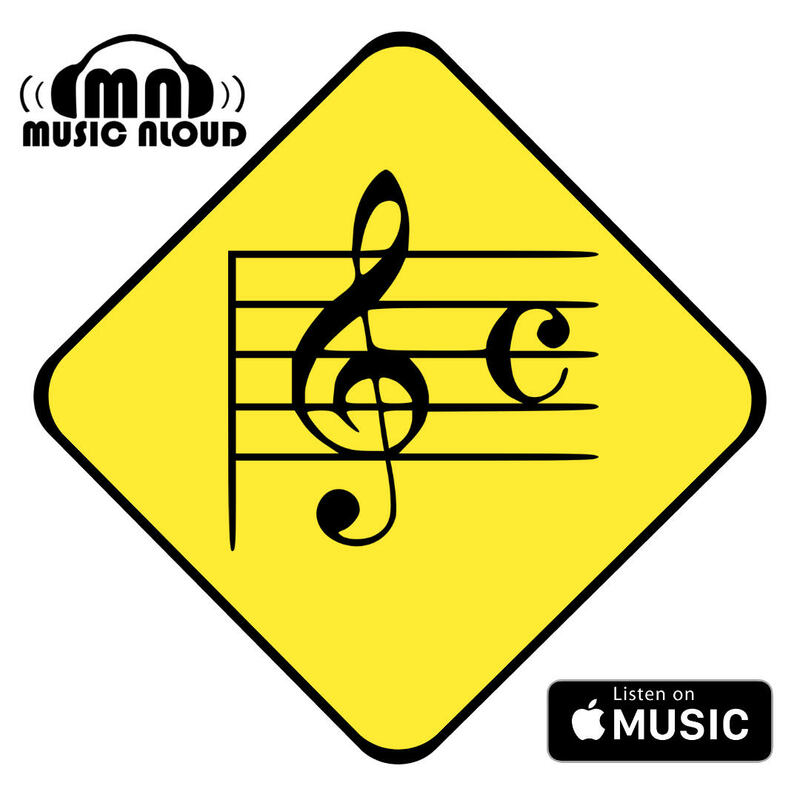 This song is going to grow on you for sure, as it has on me as I am writing this review! The remix spoils the fun element however. Coming to Kyun Keeda Hai Aapko, Sagar Desai presents a modern day Chatur Naar sung flawlessly by Vijay Prakash. That he can deliver classical songs he has proven in the past with songs like Man Mohini in Yuvvraaj, but the comical twist he brings to this one with that deliberate sluggishness et al, is just awesome. Sagar gives a jazz orchestration to this one making the experience all the more delightful. And Ankur Tewari’s lyrics are the icing on the cake. Ideal candidate for the best track of the album. And I couldn’t help but make a mention of this, the sargam in the second interlude is simply brilliant! Ek Tha Murugun is reminiscent of the Wild West in every way except the lyrics, which make a travesty of the hero. This song alone has Shellee penning the lyrics and Vijay Prakash sings this one as well to good effect. Vijay Prakash comes a third time to deliver the retro-sounding Chat Mangni Lover. The lyrics again are incredibly funny, Vijay giving the right intonations to accentuate the funniness. There are two remixes of this song. First one called Space Goddess works in the remixers Deep and DJ Chandu’s favour. This one has Pratichee Mohapatra joining Vijay plus some dream elements, bringing the song to a more recent time than the original. The second version called Aunties On the Dance Floor, isn’t that well done, just processing the vocals. A fourth entry by Vijay Prakash has him crooning Kuchi Kuchi Twist with Hamsika Iyer, both with a strong Southie accent. And its in this song’s remix, called Ragamuffin mix, where the remixers get their act totally right. Sout Dandy Squad’s Tamil rap is just perfect for this one. To know more about Sout Dandy Squad by the way click here. It is in the last song, Naam Mera Mango Dolly, however that Sagar Desai falters slightly. With a catchy title the jazzy cabaret number starts well, Geeta John splendid on the vocals. But somewhere in the middle monotony sets in. But 7/8 is good enough! I never expected such an engrossing soundtrack from a Bollywood comedy flick of all things! 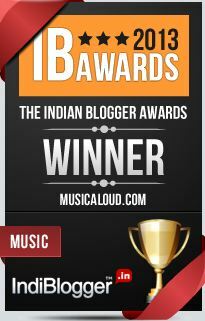 Sagar Desai, Raghu Dixit, Ankur Tewari, I bow to you!! After his thoroughly impressive scores in both Straight and QGM, I am going to be on the lookout for Sagar Desai’s next. 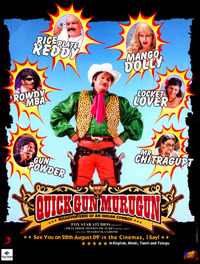 Below are the trailer of the movie and some videos of the yesteryear Channel V version of Quick Gun Murugun, which was again Shashanka Ghosh’s creation.